Love yoga? Want to enrich your understanding? Share your knowledge? 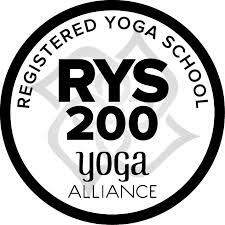 This approach to training presents new opportunities for adults and youth to attain Yoga Alliance certification. It gives graduates a healthy way to earn extra money while nurturing the wise teacher within, at a pace that fits with the demands of home or student life. Ages 14+ welcome. 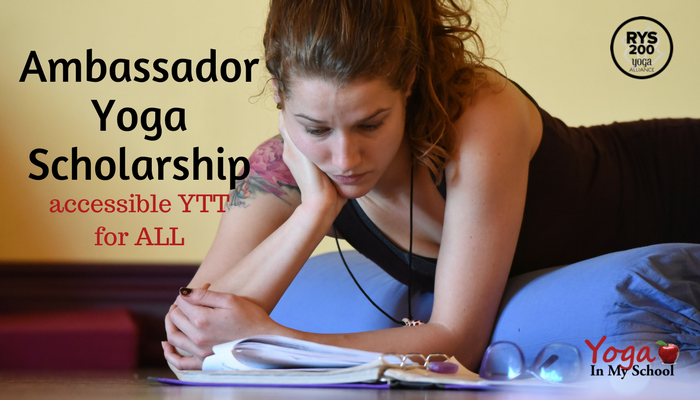 The Ambassador Yoga Teacher Training is a 200-hour Yoga Alliance registered program. 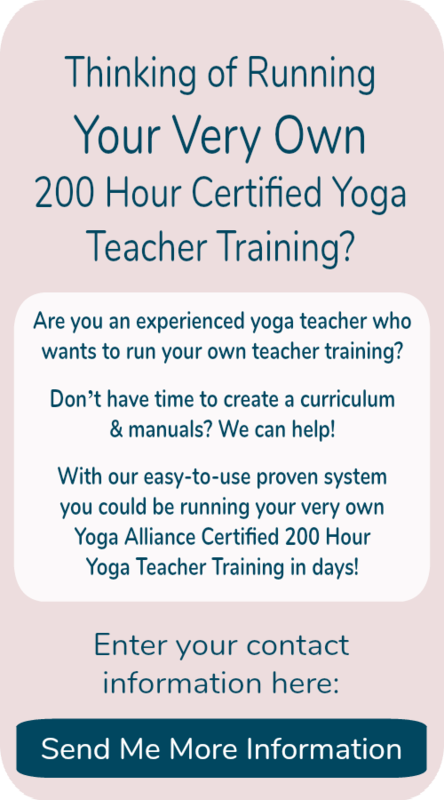 The training hours have been broken down into four modules, each of which contain all the fundamental elements required for your certification and registration with Yoga Alliance as a Registered Yoga Teacher 200 (RYT 200). The modules can be started at any time and completed at a pace that fits your life. We encourage a commitment to complete the program within two years. We feel it is important to share the love of yoga and the joy of teaching and want everyone to benefit. We offer a $400 scholarship to one lucky registrant for each module. 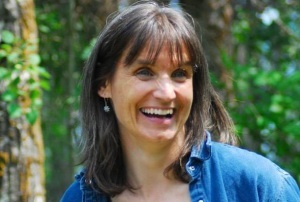 I’m Donna Freeman, the founder of Yoga In My School and Lead Trainer at Ambassador Yoga in Alberta. Yoga In My School is a place where those passionate about sharing the benefits and joy of yoga and mindfulness for youth can gather, learn and grow. I started doing yoga when expecting my oldest and living in Cape Town. There was a yoga studio just down the street from our flat so when my doctor said no more running, I figured I’d give it a try. From the first I loved it! To this day I come home from class with more vitality and enthusiasm than when I started – except maybe after teaching elementary school kids all day everyday for a week – then I just want to crawl into bed. In order to share my enthusiasm for yoga and how it relates to kids Yoga In My School was born. What makes Yoga In My School unique is attention to how kids learn best. My life would not be complete without my ever supportive husband, four children, two dogs and good friends, all of whom put up with my obsessive-compulsive need to share the joy of kids yoga. I live in St Albert, Alberta, Canada which is lovely during the summer and cold as h*** in winter. If you don’t believe me come visit in January. I grew up in beautiful Castlegar, BC with my brother and 3 sisters where we ran amok in the neighbourhood as kids and either rented movies, attended school sporting events, or hung out with friends as teens. I was also a Rotary Exchange student and spent a unforgettable year living in Brasília, Brazil. I met my husband while studying at the Faculté St Jean, French Faculty of the U of A, in Edmonton. It was love over verb conjugations and Midnight Oil concerts. We married, studied, lived in Taiwan, Japan, and South Africa, and traveled the world before, much to my mother’s relief, finally settling down to suburban life.